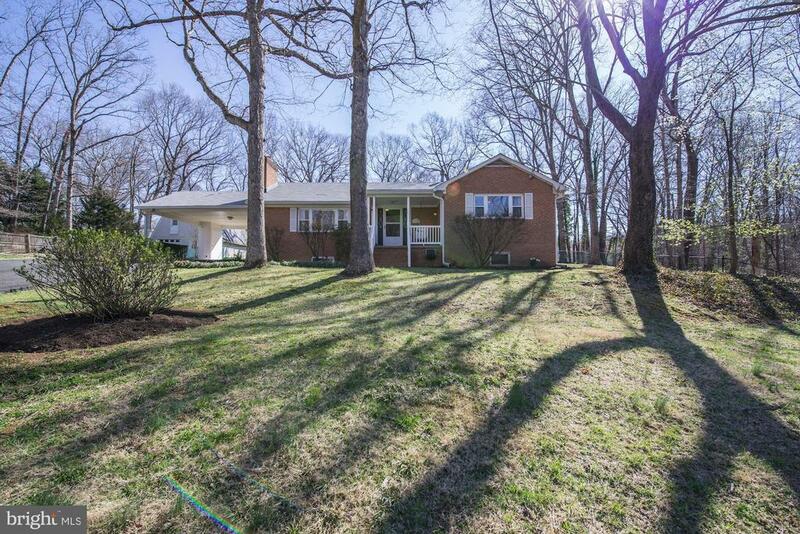 Well maintained all brick rambler set on a half- acre lot. A covered front porch leads you to hardwood flooring in all main level living areas. A screen porch is located just off the dining room, leading to large wood deck, looking out on spacious and level rear yard. Attached carport is convenient to side entry door. Hobbyists & car enthusiasts will love the large two level detached- garage with electric and plenty of extra storage. The basement is fully finished with a large recreation room and large brick hearth. Additional basement rooms include an office, two den~s (with one purposed as bedroom), a full bath and large laundry room leading to foyer to walk up egress stairs to back yard. The home is located in a park like setting, less than one mile from i-495, i-395, i-95 and springfield town center. For more information or make an appointment to see property ID VAFX1051340.